Maria Sanchez,25, is accussed seriously injuring her child, police said. 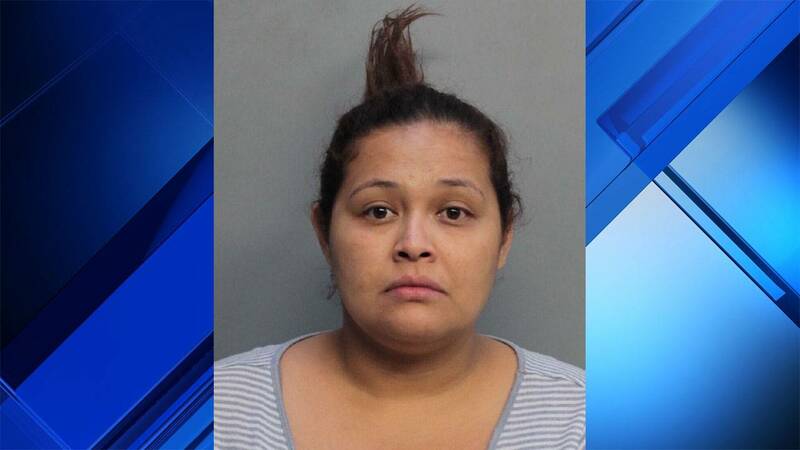 MIAMI - A Miami mother was arrested Friday after police said she shook her 2-month-old son, causing serious injuries. Maria Sanchez, 25, faces charges of aggravated child abuse and resisting arrest. Police said Sanchez confessed to hurting the boy, saying she accidently struck him in the head with her fist. However, police said the injuries were not consistent with Sanchez's account. "He had subdural hemorrhage in his brain and retinal hemorrhages in both eyes indicative of abuse head trauma, which is also known as shaken baby syndrome," Judge Mindy Glazer said as she read from the arrest report. A prosecutor at a bond hearing on Friday said Sanchez was "hysterical" and "confrontational" during her arrest. She actively tried to free herself from her leg restraints and had to be carried to the police car, the prosecutor said. "The state may file additional charges if the baby doesn't survive. The baby is on respirator and is heavily sedated. His prognosis for recovery is bleak,” Judge Mindy Glazer told Sanchez. Sanchez was ordered to stay away from the child. She will be placed under house arrest if she posts bond, Glazer said. Beatriz Lopez, a spokeswoman for the Florida Department of Children and Families, said the agency is investigating the case. "We are working closely with the Miami Police Department during the course of their investigation," Lopez said. Sanchez is currently being in held on more than $100,000 bond at Miami-Dade County's Turner Guilford Knight Correctional Center.